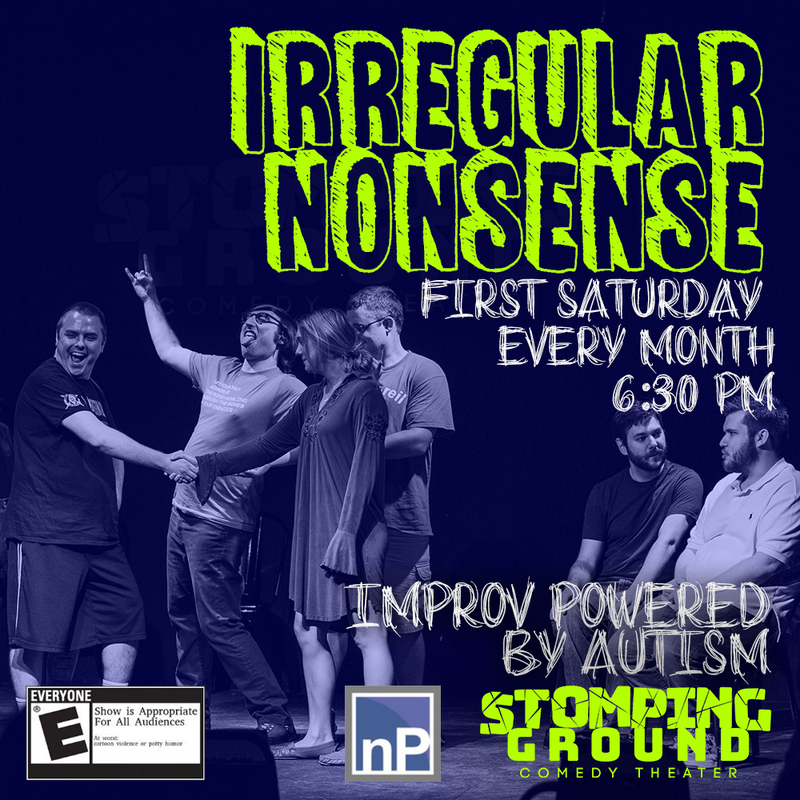 Stomping Ground is proud to present Irregular Nonsense, an improv team born out of nonPareil Institute and our Improv for Life Program. The clever, out of the box stylings of Trenton Lundgren, Trevor Poynor, Jake Raybon, Kevin Sharp, Isaac Pinkus, Rivka Notelovitz, and Bryan Kersey will leave you laughing and inspired. This show is interactive for those who wish to participate and sensory friendly. 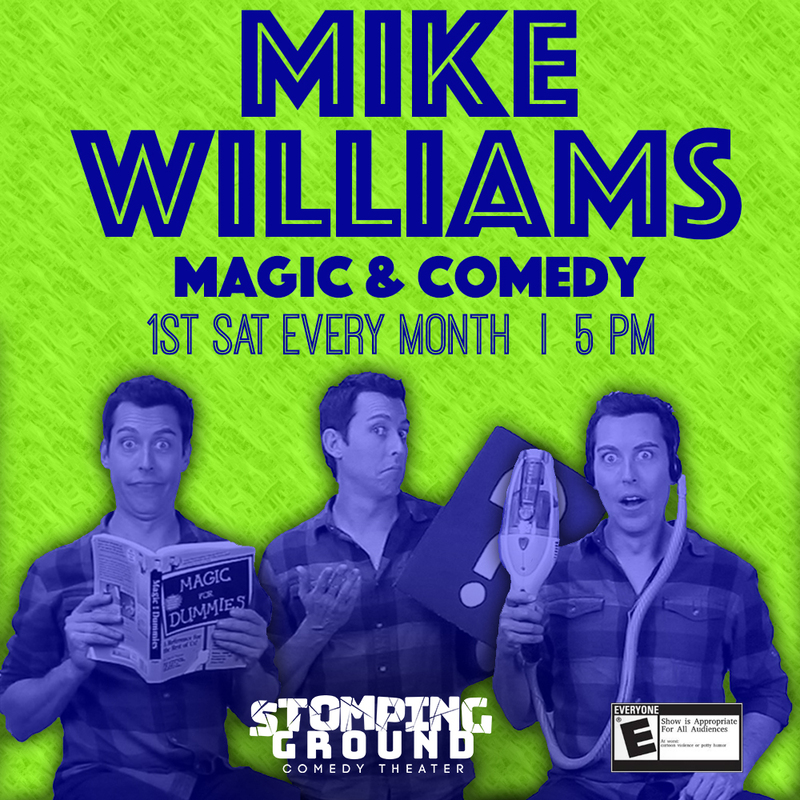 The April show will feature fresh new games from the gang and promises all new laughs!This show is rated E for Everyone but parental discretion is advised. Seating beings 15 minutes prior to the start of the show. The premiere Stomping Ground Ensemble comprised of Creative Team Members and instructors, they use true stories to help inspire improvised songs and scenes. Their improvised lyrics, harmonies, and larger-than-life characters are sure to give you a warm Texas welcome. 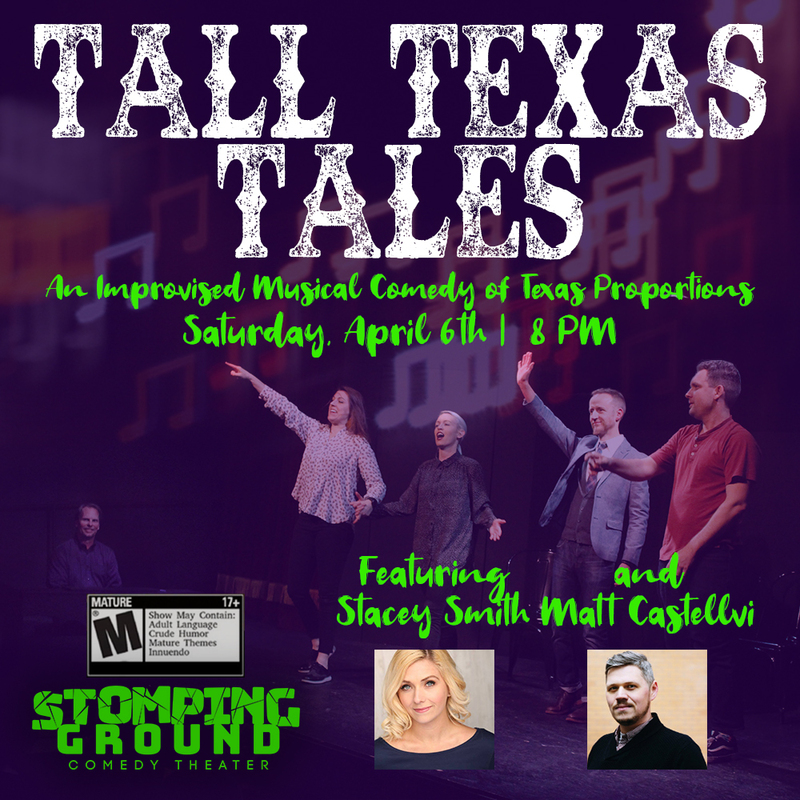 The April 6 show features Chicago's Stacey Smith and Matt Castellvi, nationally-renowned musical improvisers who teach "songprov" all over the world.Tall Texas Tales is recommended for ages 18+. Seating starts 15 minutes prior to the show. Stomping Ground is BYOB. 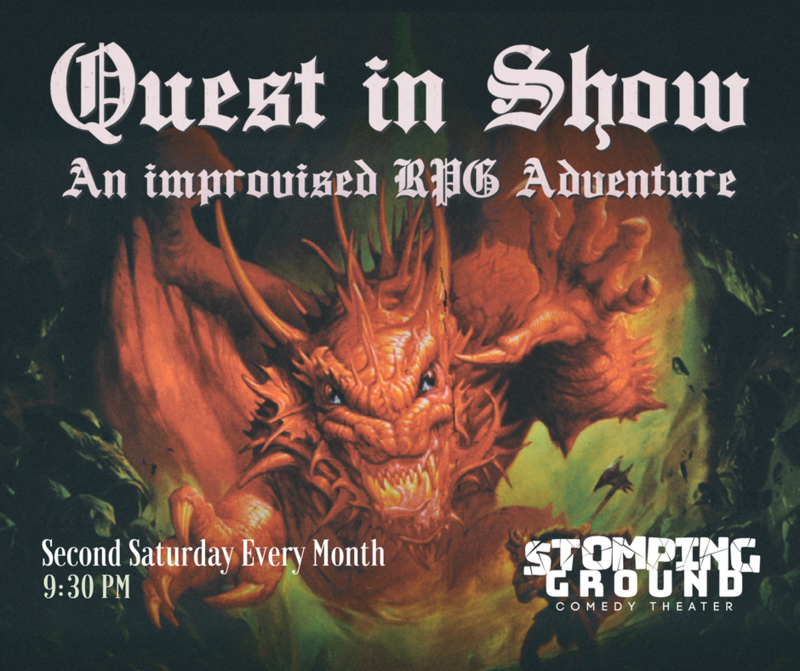 Dallas's only improvised Role Playing Game performed live onstage. Join us the second Saturday every month at 9:30 for an epic fantasy adventure guided by the role of the dice. 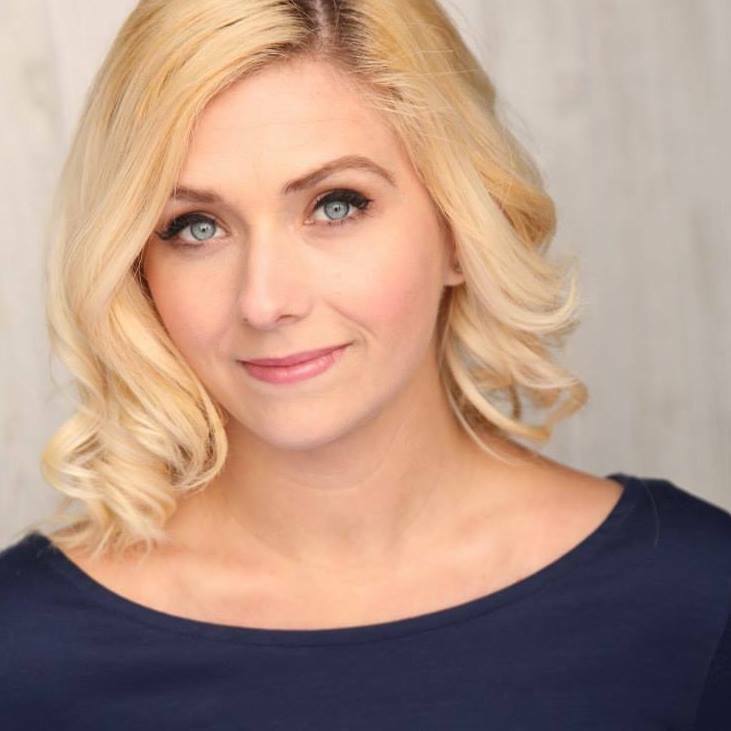 The April show is being held on the First Saturday of the month so we can be joined by Chicago's Stacey Smith and Matt Castellvi, nationally-renowned musical improvisers who teach improv and musical improv all over the world.This show is rated T for Teen/14+. Stomping Ground is BYOB. Seating begins 15 minutes prior to the start of the show.